Golden Sands Hotel Apartments (GSHA) continues to be the preferred accommodation of visitors from India as shown by the increased interest received by the team at a tourism roadshow held in Delhi recently. Over 400 trade professionals comprising key travel and tour operators, wedding planners and upmarket leisure operators from the city attended the roadshow organised by the Dubai Department of Tourism and Commerce Marketing (DTCM). Mohammed Khoori, General Manager, said, “The roadshow opened up new opportunities to tap agents who are not familiar with Golden Sands Hotel Apartments. It was the ideal platform to interact with a significantly higher number of travel agents and tour operators that market a new segment of travellers from India. The main market segments that we are looking at tapping in India this year are the group series departures and the family segment travellers who will be heading for the New Year and Dubai Shopping Festival (DSF) 2019. Our main focus on expanding and consolidating ties with the new travel segment was to reach out to a larger audience and gain a higher market share.” Earlier in the year, the team of GSHA joined another DTCM roadshow and visited the cities of Kolkata, Pune, Ahmedabad and Mumbai and met potential partners and buyers. Low cost carrier Jazeera Airways will begin operating to Hyderabad (India) from November 16, 2017, followed by Kochi, Mumbai and Ahmedabad by mid-December. Jazeera Airways will operate daily flights to Hyderabad departing 1840 hours arriving 0135 hours, making it possible to travel to India without wasting a working day. Schedules for other routes to the subcontinent will be announced shortly. Fares from Kuwait to Hyderabad start from KD 32 one way and are on sale now with a baggage allowance of 30 kg in economy class and 50 kg per passenger in business class. 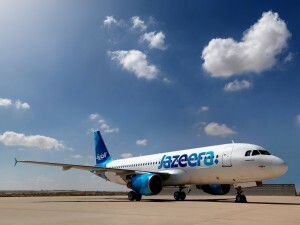 Travellers can book now via Jazeera’s revamped website – www.jazeeraairways.com, or through the dedicated app or from all travel agents. 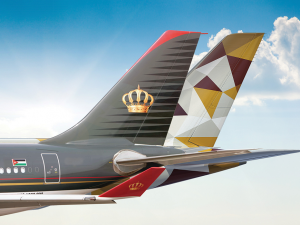 Jazeera has just launched its refurbished cabin interiors in both economy and business class on the first aircraft of its A320 fleet, together with a bold new livery and stylish new crew uniforms. The complete fleet will receive the cabin upgrades by the end of the year.